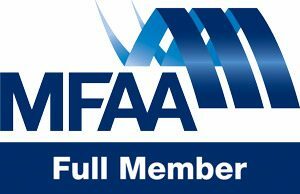 We also are full members of the Mortgage & Finance Association of Australia (MFAA), the peak industry body for mortgage and finance professionals. In addition, we are members of the Australian Financial Complaints Authority, an impartial & independent dispute resolution scheme to assist consumers. To date, we’ve never had a compliant and we do everything humanly possible to ensure our track record stays intact. We take all reasonable steps to protect your personal information from misuse, interference, loss, unauthorised access, modification or exposure. All Atelier Wealth staff are required by the terms of their employment to maintain the confidentiality of customer information. Access to your information is restricted to those employees whose job requires that information. Access to our premises and computer systems is restricted through locks, password protection, internet firewalls and routers. We do not sell, trade or rent client lists or personal information to any third party. We will disclose personal information about you to our lenders and agents where necessary to do so for the ordinary operation of our business. We may also disclose your personal information to our administration centre located in India, for the purpose of processing and managing your accreditation with us. In all cases we will only disclose that information that is strictly required and take all reasonable steps to ensure that your personal information is handled in accordance with the Australian Privacy Principles. These third parties are strictly prohibited from using your personal information for any purpose other than in the pursuit of business related to Atelier Wealth. Some of the recipients to whom we disclose your personal information may be based overseas. It is not practicable to list every country in which such recipients are located but it is likely that such countries will include the Philippines. You can make a request for access to or correction of your personal information by contacting our Privacy Officer by email at hello@atelierwealth.com.au or by telephone on 1300 394 055. This message together with any attachment is intended for the use of the person to whom it is addressed and contains information that is privileged and confidential. If you are not the intended recipient, or the employee or agent responsible for its delivery to the intended recipient, you are hereby notified that any dissemination, distribution or copying of it is strictly prohibited. Please notify us if you have received it in error, and otherwise take all necessary steps to delete it from any transient or permanent storage device or medium and notify us by return email or by telephone. Any views expressed in this email and any files transmitted with it are those of the individual sender, except where the sender specifically states them to be the views of our business. We do not represent or warrant that the attached files are free from computer viruses or other defects. The user assumes all responsibility for any loss or damage resulting directly or indirectly from the use of any attached files. Your consent – By asking us to assist with your credit needs, you consent to the collection and use of the information you have provided to us for the purposes described above.